BHUBANESWAR: A woman delivered a baby at the verandah of a state-run hospital without medical assistance this morning, but the infant died after sometime even as his family members alleged negligence. The authorities of the Capital Hospital in Odisha, however, said the baby boy was born with respiratory problem which caused his death. Kiran Kalia, a pregnant woman from nearby Pipili area, was admitted to the hospital in the small hours today and she was asked to stay in the hospital veranda due to shortage of bed, the relatives of the victim said. The woman early this morning gave birth to the baby boy on the veranda itself without the support of any nurse or supervision of doctor. “We kept calling the nurses to help Kiran. But they did not attend her saying the time was not due. She gave birth without any medical help,” Kalia’s sister-in-law said. “Even after the baby was born, the staff didn’t visit her. Instead, they asked us to take the baby to them. 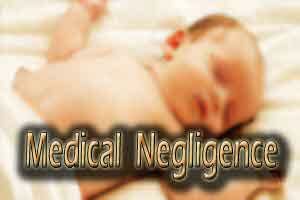 The baby was fine when it was born, but the negligence of the nurses and the doctor killed him,” she alleged. Capital Hospital Superintendent Binod Mishra claimed the child was born in a critical condition. “As per reports available, the patient visited the hospital at about 1 AM in an advanced stage of labour. The baby faced respiratory issues immediately after he was born and that caused his death,” Mr Mishra said.